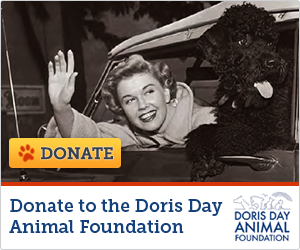 Three years ago, when I was just getting into internet websites, I needed to have some information about Doris Day authenticated. I could think of no better source than Casy Kasem, who died this week at the age of 82. I sent him an email (after finding the correct source), and he answered immediately. That began a week long email correspondence, mostly on the topic of Ms. Day. Casey said: “I always loved Doris, too. And if I could have, I would have featured her on the Top 40 in all 40 positions every week.” Of course he could not but his Top 40 Countdown (complete with wonderful song and artist history) was on the radio for years, and I listened to it whenever I could. The program spanned 4 decades on the air. A former deejay, Casey had plenty of experience with highlighting popular music. His expertise landed him many jobs utilizing his music expertise, and he was a qualified Music Historan, appearing as well on All Experts.Com in the field of music. The legendary radio star and voice actor had been suffering from dementia and passed away on Sunday, according to a post on his daughter’s facebook page. "Early this Father’s Day morning, our dad Casey Kasem passed away surrounded by family and friends," Kerri Kasem wrote. "Even though we know he is in a better place and no longer suffering, we are heartbroken. Thank you for all your love, support and prayers. The world will miss Casey Kasem, an incredible talent and humanitarian; we will miss our Dad. With love, Kerri, Mike and Julie."